and fairway barriers to enclosed practice areas and cages. length for your netting system. may need to coexist with your facility. 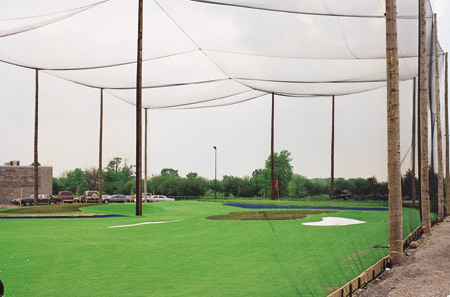 Don't have the space for a full driving range? up to 20 tees as pictured at right. system to protect your family and property.